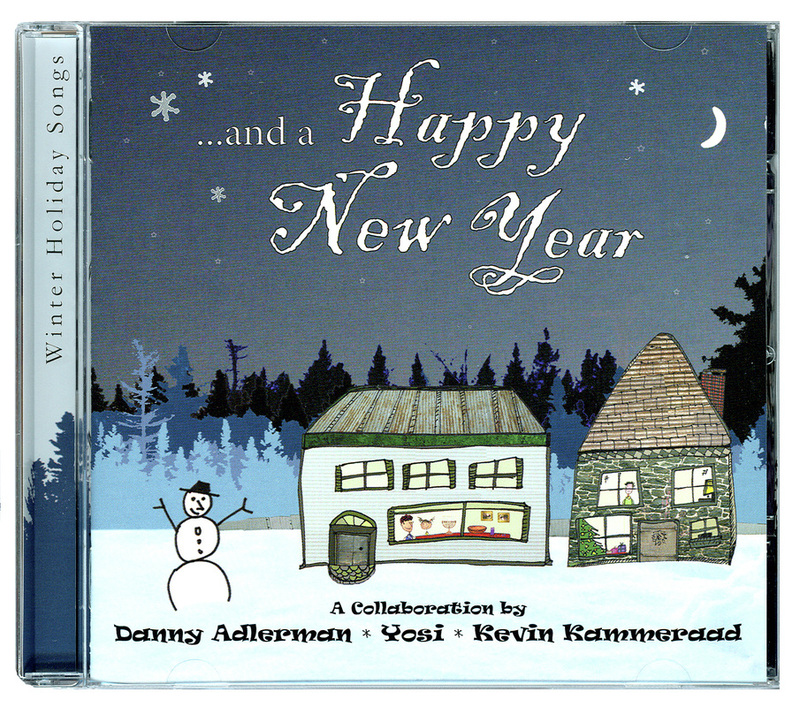 Award winning children’s recording artists Danny Adlerman, Kevin Kammeraad, and Yosi, joined efforts to create a winter holiday album combining music of Christmas, Hanukkah, and winter. Danny, Kevin, and Yosi have been inspiring kids and families for over a decade through both music and books. 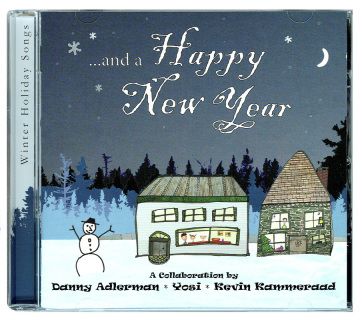 Through their friendship an idea was born to create a CD that captures both winter holiday originals and inventive remakes of traditional favorites. The humor, love, joy, and excitement of the season shine through in this exceptional, all ages family CD! "… and a Happy New Year" is as fanciful as the first winter's snow, as rockin' as a fun-filled holiday party and as welcoming as a fresh batch of warm homemade holiday cookies." "In the end, this CD is just plain fun, which is what the holidays should be. A+++"
"…And a Happy New Year is not just any old winter holiday album—it’s a truly spectacular winter holiday album that is sure to be loved by all families."